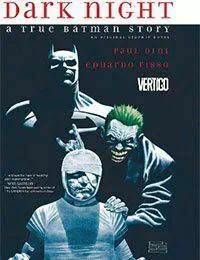 This is a Batman story like no other-the harrowing and eloquent autobiographical tale of writer Paul Dini's courageous struggle to overcome a desperate situation. The Caped Crusader has been the all-abiding icon of justice and authority for generations. But in this surprising original graphic novel, we see Batman in a new light-as the savior who helps a discouraged man recover from a brutal attack that left him unable to face the world. In the 1990s, legendary writer Paul Dini had a flourishing career writing the hugely popular BATMAN: THE ANIMATED SERIES and TINY TOON ADVENTURES. Walking home one evening, he was jumped and viciously beaten within an inch of his life. His recovery process was arduous, hampered by the imagined antics of the villains he was writing for television including the Joker, Harley Quinn and the Penguin. But despite how bleak his circumstances were, or perhaps because of it, Dini also always imagined the Batman at his side, chivvying him along during his darkest moments. A gripping graphic memoir of one writer's traumatic experience and his deep connection with his creative material, DARK NIGHT: A TRUE BATMAN STORY is an original graphic novel that will resonate profoundly with fans. Art by the incredible and talented Eduardo Risso (100 BULLETS, TRANSMETROPOLITAN).